Talk Nerdy To Me: EMILY - The Robotic Lifeguard. EMILY - The Robotic Lifeguard. 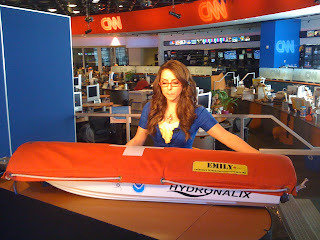 I had the pleasure of showcasing EMILY today on CNN. 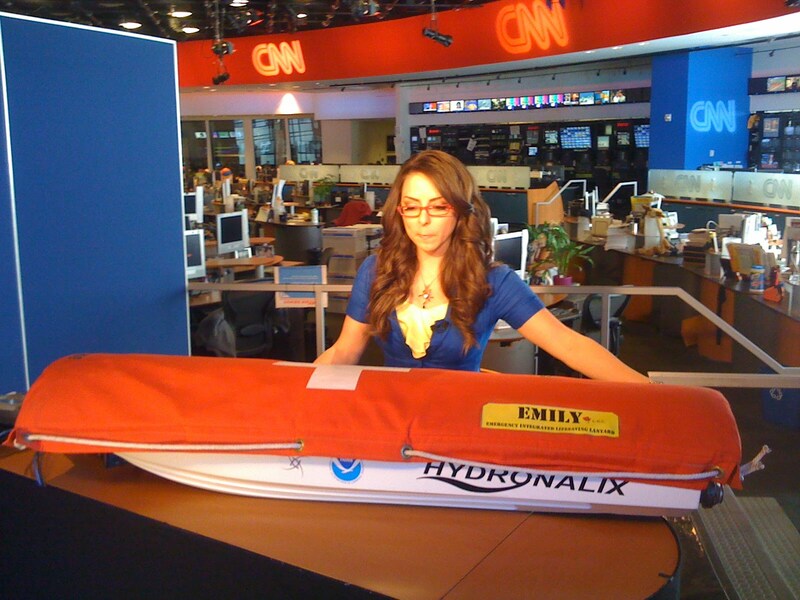 Utilizing cutting edge technology EMILY looks just like a flotation device but is really a robot made to save lives. Weighing around 20lbs and with speeds of up to 28 mph (6x faster than a lifeguard) she has built in sonars that detect a distressed swimmer. She can cut through the waves no problem. And of course it goes without saying, in these types of situations seconds are critical. She makes her debut in Malibu this weekend and hopefully we will soon see more of her in locations across the globe. She is controlled via remote from the lifeguard and has built in speakers to calm a swimmer down. Next spring a self automated bot will roll out. She holds a decent price tag of $3500. Why not? Thanks to Tony Mulligan @ Hydronalix for bringing us the bot! Sounds like it could really help to save lives, but I wonder how well it can deal with panicked swimmers. I still wish I had one though. My first reaction to the picture was, "Wow, they made that robot look a lot like Katie!" Yes, it does have the capability to go 40mph. I talked about this with Tony today from Hydronalix. However they have programmed the main units in operation to stay at 28mph because 40 is (believe it or not) just too fast. What about an unresponsive person?